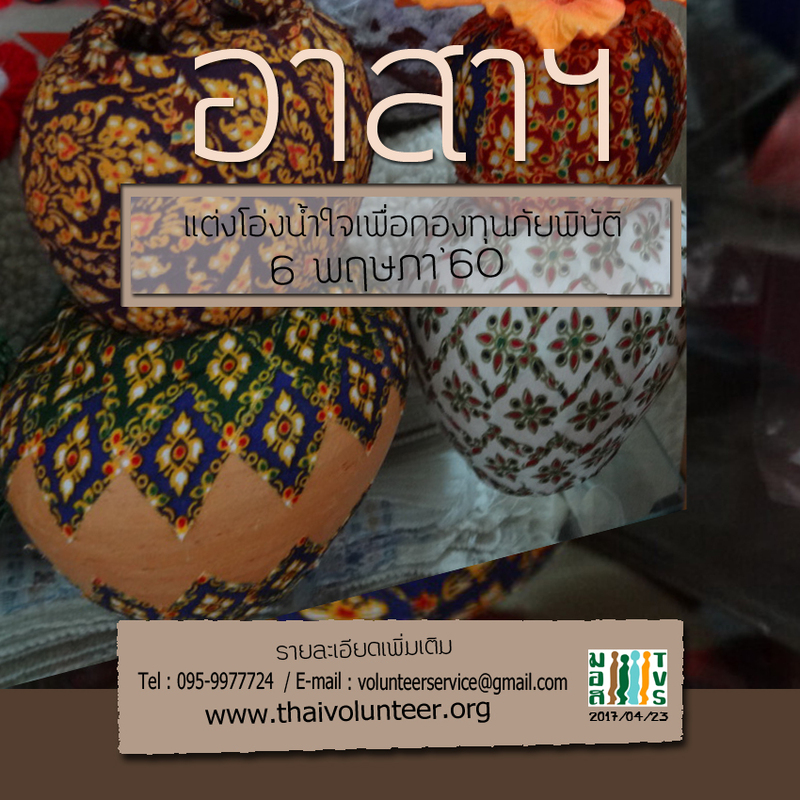 โดยแจ้ง ระบุกิจกรรม “โอ่งน้ำใจฯ 6 พฤษภา’60” ชื่อ/สกุล ……….. อาชีพ………. E-mail ……… เบอร์โทร ……..
*drive yourself Parking in front of TVS building. There is no charge, but there is so few parking space. If it is full, you need to park at a private parking lot behind the Summer Mansion 1, you need to pay lump sum fee for parking 50 baht/day.